We are thrilled to announce an exciting new addition to our award winning visitor attraction – for one day only, guests will be able to experience the Close in a way that has never been done before, with the introduction of a Slip and Slide. On April the 1st, thrill seekers will be able to take the plunge down the Slip and Slide, which stretches the entire length of the underground street. Our team members had fun testing out the new feature, which has been nicknamed ‘Gardy Loo’, after the 17th century cry which would often be heard in the Closes as waste buckets were emptied in to the streets. Of course our ‘Gardy Loo’ is considerably more pleasant, featuring water rather than human waste. 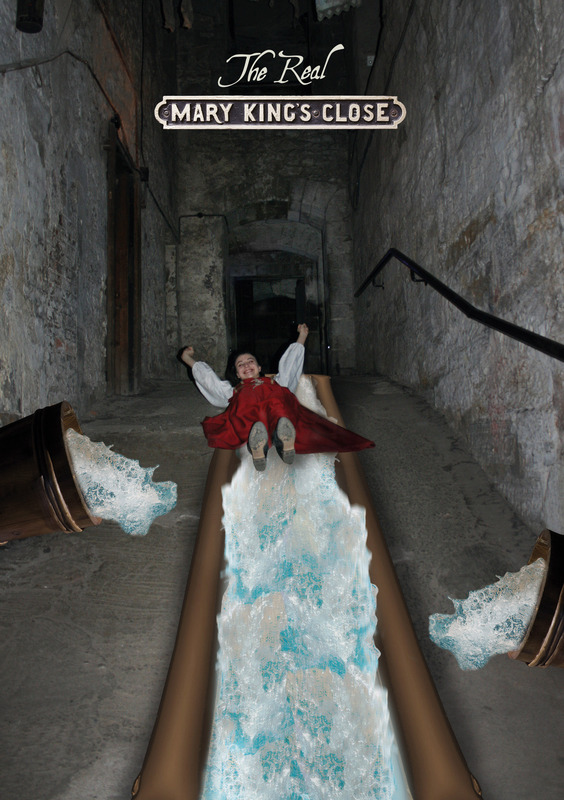 Although the Slip and Slide is only be available for one day, The Real Mary King’s Close is extending its opening times over the Easter break and beyond. From Friday 30th March until Saturday 31st October tours will run from 10am-9pm. Pre booking is highly recommended; advance bookings can be made by calling 0845 070 6244, online at www.realmarykingsclose.com or in person at The Real Mary King’s Close.